Spend a cold February night dreaming of warmer days ahead and big trout and saltwater quarry! 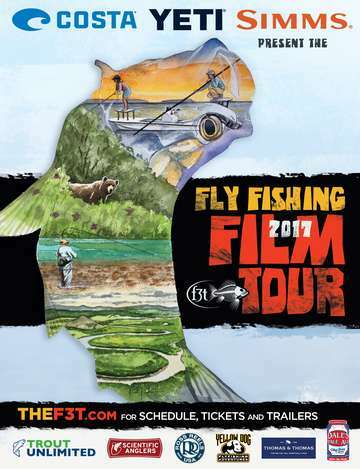 Join friends and members of our three local Trout Unlimited Chapters in Fairfield County for a fun night of fishing films at the F3T! Even though we’ve moved to Trumbull and added 100 more seats, we expect to sell out again this year, so don’t wait to buy your tickets! Doors open at 7 pm and the show starts at 7:30pm. As always, a cash bar of beer and wine will be available and our incredible raffle will feature rods, flies, fishing gear and more.